Our firm offers professional preparation of all federal, state, and local tax returns at competitive, affordable rates. We continuously monitor federal, state, and local tax law changes to allow its clients to minimize current and future tax liabilities. If necessary, we can implement tailor-made due-date tax compliance monitoring systems to prevent costly interest and penalty assessments attributable to late filing. 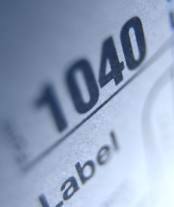 Of course, we offer full tax preparation and filing services. We specialize in preparing your taxes quickly and painlessly, and will ensure you receive all the deductions you are entitled to. We are always available to help you with your tax planning needs to help you lower your taxes and avoid surprises during the tax season. And in order to speed your refund, we can file your return electronically to the IRS and state tax boards. Careful tax planning is the most essential step in preparing our clients' income taxes, and by minimizing taxes we strive to improve our clients' profitability. Whether you are a large firm or small, established or start-up, we will find the best possible strategies for reducing your tax liability within the limits of the law. Are you having a problem with the IRS? Our firm knows the tax laws, let us find a solution. We can provide complete representation services before the IRS as well as state and local taxing authorities. We are also experienced in negotiating Offers in Compromise with the IRS. If you have any questions, please give us a call (215) 879-2407 or click here for our contact information.